OCR A Level Human Biology AS & A2 Revision Guide. Author:Fuller, Fran. Book Binding:Paperback. Each month we recycle over 2.3 million books, saving over 12,500 tonnes of books a year from going straight into landfill sites. No highlights or writing inside. AS BIOLOGY OCR. MODULE 2801 BIOLOGY FOUNDATION. STUDENT UNIT GUIDES X 3. MODULE 2802 HUMAN HEALTH & DISEASE. Title:-AQA A-Level/AS Biology Topics 1 and 2 Workbook: Biological molecules; Cells. Author:-Pauline Lowrie (Author). Publication Date: 2015-11-27. Our Ref: FH-9781471847301. Publisher: Hodder Education. ISBN/EAN: 9781471847301. 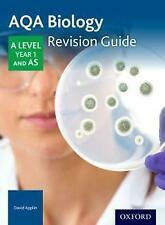 OCR A LEVEL BIOLOGY STUDENT GUIDE. Learn about the human body from the inside out. Plenty of illustrations, this eBook is your guide to a fantastic voyage of the human body. Concise Guide to Human Anatomy. Human Anatomy. A Practical Guide to Human Anatomy. Title:-Edexcel A-Level Year 2 Biology B Student Guide: Topics 8-10: Student guide 4. Author:-Jones, Mary. 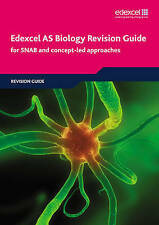 Title:-Edexcel AS Biology Revision Guide (Edexcel A Level Sciences). Author:-Skinner, Mr Gary. 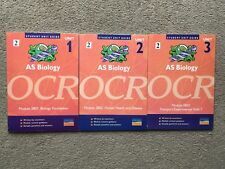 Title:-AQA Biology Student Guide 2: Topics 3 and 4. Author:-Pauline Lowrie (Author). CCEA A2 UNIT 1 BIOLOGY STUDENT GUIDE. The Manga Guide to Molecular Biology (Paperback). Title:-OCR Biology A Student Guide 1: Foundations in Biology. Author:-Richard Fosbery (Author). Title:-Edexcel Biology B Student Guide 2: Topics 3 and 4. Author:-Mary Jones (Author). Author:-Fosbery, Richard. 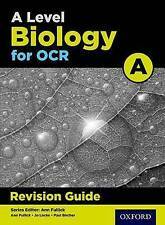 Title:-OCR A-level Biology Student Guide: Practical Biology. Author:-Foulder, Dan. 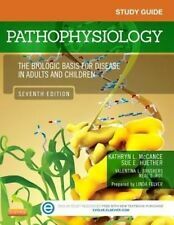 Title:-Edexcel A-level Biology Student Guide: Practical Biology (Paperback). Author:-Ormisher, Jo. 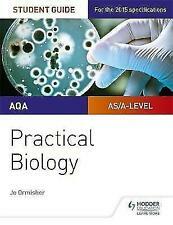 Title:-AQA A-level Biology Student Guide: Practical Biology. CCEA AS Unit 1 Biology Student Guide: Molecules and Cells. 2016 Specification but still relevant for newer specifications. Condition is Like New. Dispatched with Royal Mail 1st Class. Title:-CCEA AS Unit 2 Biology Student Guide: Organisms and Biodiversity (Ccea As Biology Student Guide). Author:-Campton, John. 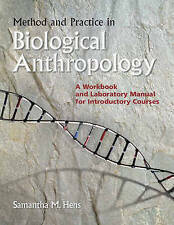 Title:-AQA Biology 1 A-Level Year 1/AS Student Workbook (Biology Student Workbook). Genre:-Science & Nature, Biological Sciences, Education. 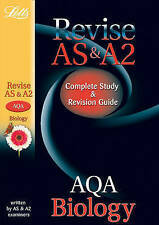 Title:-AQA Biology 2 A-Level Year 2 Student Workbook (Biology Student Workbook). We aim to be helpful and flexible.andnbsp;. Publication year: 2016. Create confident, literate and well-prepared students with skills-focused, topic-specific workbooks. ISBN 10: 1471847314. Country of origin: United Kingdom. Publication Date : 2017-03-31. Product Category : Books. First Edition : False. Condition : Good. List Price (MSRP) : 5.99. Dust Jacket : False. Signed : False. Pages : 64. WJEC/Eduqas Biology Student Guide 2: Unit 2: Biodiversity and physiology of body systems (Wjec Biology Student Guide 2) (Paperback). Author: Brain, Christine. Language: This book should contain text in 1. Binding: PAP. Publication Date: 2015-10-30. Publisher: Hodder Education. ISBN/EAN: 9781471843662. 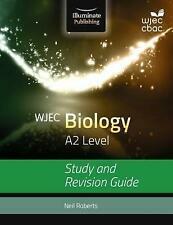 WJECEDUQAS ALEVEL BIOLOGY STUDENT GUIDE. Title:-CCEA AS Unit 1 Biology Student Guide: Molecules and Cells. Author:-Campton, John. Model Answers AQA Biology 2 (Biology Student Workbook). Author:Richard Allan. Each month we recycle over 2.3 million books, saving over 12,500 tonnes of books a year from going straight into landfill sites. Consequently, they should be treated as a guide only. We will be happy to hear from you and help you to sort out any problems. Genre:-Science & Nature, Biological Sciences, Education, Richard Fosbery,OCR AS/A Level Year 1 Biology A Student Guide: Module 3 and 4 (Ocr As/a Level Biology),Philip Allan,1471843939,Science & Mathematics: Textbooks & Study Guides,Biology, life sciences,Designe. You can select which service you would like your order sent by when going through the order process. Title:-WJEC/Eduqas Biology Student Guide 2: Unit 2: Biodiversity and physiology of body systems (WJEC Biology). Author:-Andy Clarke (Author). TITLE:A2 Biology AQA B: Revision Guide. AUTHOR:Richard Parsons. VERY GOOD - Very Good condition with no significant faults. Clearly used but very few minor defects. GOOD - Usual signs of a well read book but good overall condition. Product Category : Books. First Edition : False. Condition : Very Good. TOYS & LEGO. List Price (MSRP) : 9.99. Dust Jacket : False. Signed : False. Pages : 104. 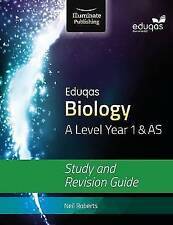 AQA AS/A-level Year 2 Biology Student Guide: Topics 5 and 6 by Pauline Lowrie 9781471856693 (Paperback, 2016) Delivery UK delivery is within 3 to 5 working days. International delivery varies by country, please see the Wordery store help page for details.